Hello readers! So this week, I wanted to talk about something that has been happening in my friendships for quite some time, and something I’m not too sure how to handle. On the one hand it is possible that my expectations are too high, but that does lead me to the question, what expectations are reasonable? As many of my friends are busy working mothers, and I am a stay at home mother, I do my best to fit in with them and structure my availability to their schedule. I do understand their time is limited, and if I want to see them I need to make it convenient for them. This means some I see of an evening, although it is past my bedtime almost by the time I even get there, some I see once or twice a fortnight or even a month, and some even less frequently than that. It all depends on their circumstances and what time they can afford to share with me. I do not expect my friends to “make time” for me. I try not to ask them for too much time. I used to be a bit needier, and struggled to spend time with myself. I realised I sometimes used my friends as a way to fill time and avoid myself. I no longer do this, I am perfectly happy to be in my own company and do my own thing. All I ask, is that if we do schedule time together, is that my friends do their best to show up. I know life happens and I am forgiving and understanding when people have to cancel sometimes…. That said, it has dawned on me recently that this has become somewhat of a pattern among my friend group, and I have started to question if they also understand that just because I am a stay at home parent, that doesn’t mean that my time is somehow less valuable than their own. I do not arrange catch up’s with other friends on days I have arranged to catch up with them. I don’t book appointments or my grocery shopping during their time, or anything else for that matter. As much as I can, I just want to connect with them and give our friendship the attention it needs and deserves. My friends, however seem to think it is acceptable to schedule all their appointments in our time, or change the plans at the last minute, or spend our time running errands and don’t seem to understand, or perhaps care that these things impact my own time too. Take this week for example, I made plans with one friend, who had to cancel. It is school holidays here at the moment, so I wanted to schedule in a playdate with another friend, which I did. 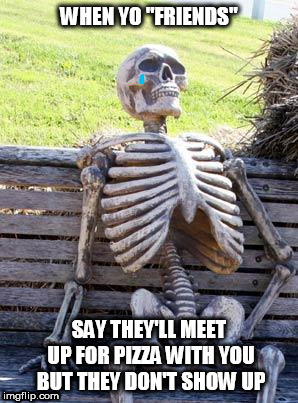 That friend however, was unsure of her own schedule and asked me to wait to hear back from her. In the meantime, the original friend said her other plans had changed and we could still get together. In the end I had to let somebody down. I really don’t like being in that position! What struck me, as I pondered this, is both my friends expected to put me “on hold.” I am not comfortable with this particularly. Although in the end both friends ended up asking for my time, it could have just as easily turned out that I had no plans at all. It feels like the insinuation is that I have nothing better to do than wait around for my friends. It’s not just the insinuation that my time is less valuable, but also the feeling that they don’t value our time together as much as I do which hurts me. I know how many times I have posted that we need to be aware that it isn’t personal. It isn’t, and even in this circumstance, I know it isn’t. What seems to be happening is a larger problem than just myself and my friends. When I examine it a little closer, it usually boils down to the fact that my friends have been put on hold too, by someone else, making them unable to commit to anything either until the last minute. Or people change plans on them, causing our plans to have to change. So what can I do about this? What can we all do? I feel it is reasonable to have an expectation that when you make a plan with someone that they do what they can to honour that commitment. I also know to manage my expectations around consistently flaky friends, and accept responsibility for making plans with someone I know to be unreliable. I know flexibility is important and I try very hard to practice this wherever possible. However, we all have to be more considerate of each other and know every single one of us has important things to do, and our time matters. Example. Let’s say I am meeting friend A for coffee at 9am, and have arranged to meet friend B at 12 for lunch. It is a half an hour drive between venues, so I need to leave Friend A at 11.30am to meet friend B at 12. Friend A calls to say she has been delayed for some reason, and asks if we can meet at 10am instead. I need to be clear to friend A that I can meet her at 10 but I still need to leave at 11.30am to meet friend B, instead of calling Friend B to tell her I will be an hour late, and in turn making her late for something else… the list goes on. We also need to be responsible for our own time management. If I am seeing Friend A in the evening and we are out late, it is still my responsibility to turn up for Friend B the next morning as planned. If I didn’t want to do that, I should not have committed to both plans. Don’t over schedule things or people. While you are trying to please everyone, essentially nobody feels you really “saw” them. Yes, spending a day together running errands or doing grocery shopping is unavoidable sometimes, and helping eachother should come within the friendship territory. Just keep in mind that these activities alone are not enough to sustain connections. You must spend more time making meaningful mutually enjoyable connections than simply fitting people in, or the relationships quickly become unsatisfying. 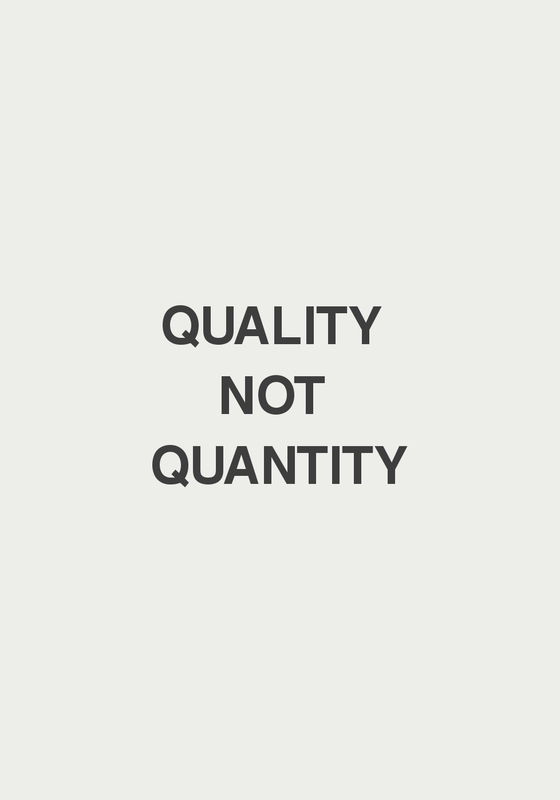 Lastly, remember that quality matters more than quantity. I would rather spend a meaningful hour with a friend a month than spend a whole day where I feel like she didn’t really have time for me, or feeling disappointed that she continually cancels because she feels she can’t give me all day. Offer what you can manage, and then show up and make it count. I know it isn’t personal when my friends can’t or don’t show up for me, but I like to hope it is personal at least, when they do?! Ladies, lets please do our best to make sure we are actually present when we show up. Put the phone down! Post on that to follow! How is time management impacting your friendships? Newer PostShe loves me, she loves me not….. Older PostThe fine line between friendships and formalities: Living together.